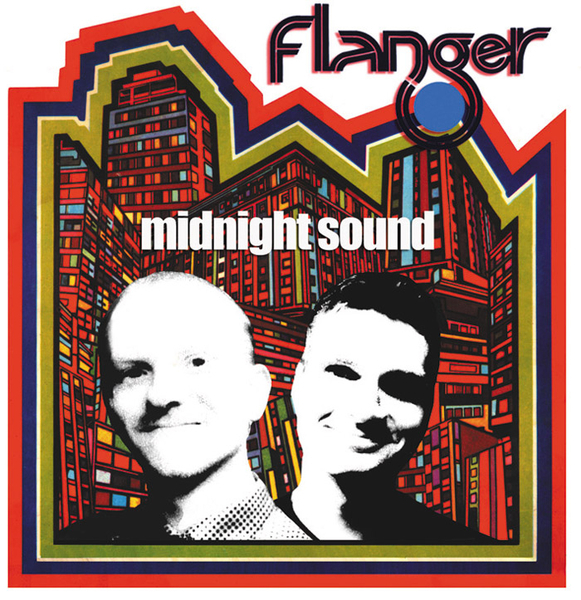 When the first Flanger LP 'Templates' came out a couple of years ago both Atom Heart and Burnt Friedmann (for they are Flanger) were shrouded in obscurity and were unknown to all but a handfull of obsessive groupies. Two years on and both artists have finally reached a certain level of recognition - Atom with his mouthwatering cannon of work on his own Rather Interesting label, his 'Pop Artificielle' project of pop-covers and his Senor Coconut re-interpretations of Kraftwerk classics, while Burnt has chipped away at us through work for Pole's Scape label and his own new 'Nonplace' imprint - perfecting his special blend of masterfull cut-ups and infusions of lounge, dub and jazz. While Templates was an LP that, for me at least, re-wrote the rules and set the standards for a specific kind of squelchy, triggered lounge music leaving many a producer dumbstruck and frustrated, 'Midnight Sound' is more of a sturdy evolution of the same principal. In other words, this is an LP that does not share the same level of pure groundbreaking pioneering but, all the same, soothes and excites in a way that few other LP's will acheive this year. Awesome.